Fortunate to grow up on acreage in Samford, Dr. Greenhalgh spent her spare time riding horses and helping out at the local vet clinic. Living in an inner city small animal practice for her final two years of study at UQ, Dr Greenhalgh graduated into mixed animal practice at Kingaroy, Guyra and Bowen before moving into small animal practice on the Gold Coast. 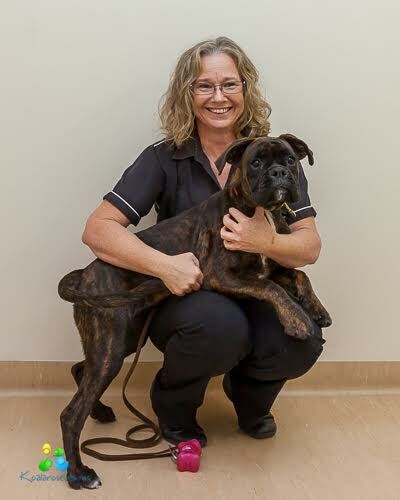 Dr Greenhalgh opened Hope Island Veterinary Surgery in 1998 to provide compassionate yet sophisticated, progressive medical care for pets and unsurpassed personal service for their owners. Her aim is to treat every pet as if it were her own, providing the optimum in preventative health care programs, regular health testing and intervention strategies for early disease states and to provide aggressive testing and diagnostics for ill patients. Her interests include general medicine and surgery, dentistry and preventative health care. She currently shares her home with Ruby.